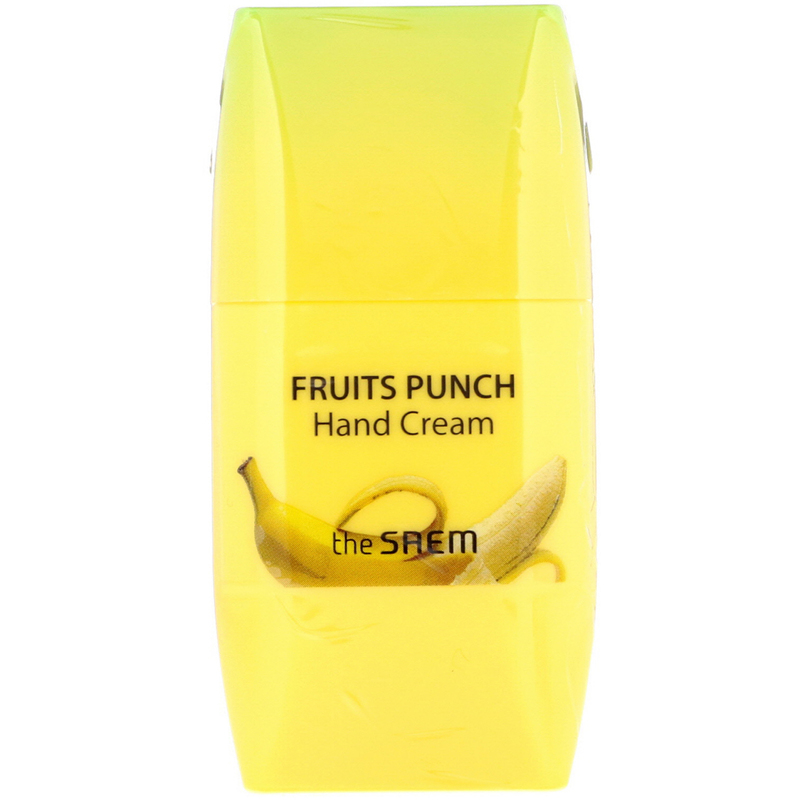 Sweet banana-scented hand cream formulated with real banana extract moisturizes and energizes rough, dry hands. Dispense an appropriate amount and apply to clean hands. 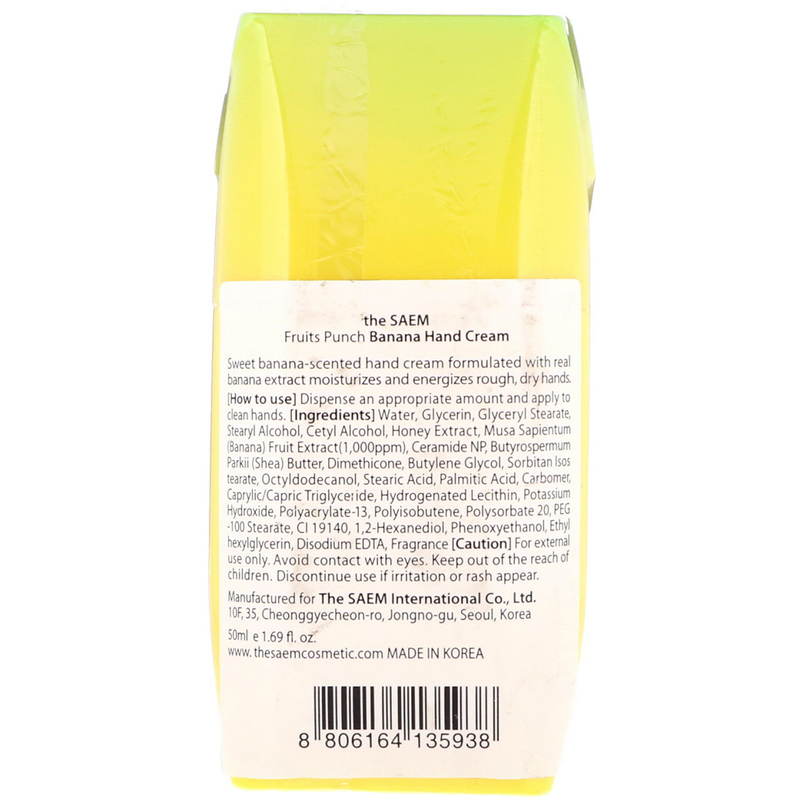 Water, glycerin, glyceryl stearate, stearyl alcohol, cetyl alcohol, honey extract, musa sapientum (banana) fruit extract (1,000ppm), ceramide np, butyrospermum parkii (shea) butter, dimethicone, butylene glycol, sorbitan isostearate, octyldodecanol, stearic acid, palmitic acid, carbomer, caprylic/capric triglyceride, hydrogenated lecithin, potassium hydroxide, polyacrylate-13, polyisobutene, polysorbate 20, peg-100 stearate, ci 19140, 1,2-hexanediol, phenoxyethanol, ethylhexylglycerin, disodium edta, fragrance.